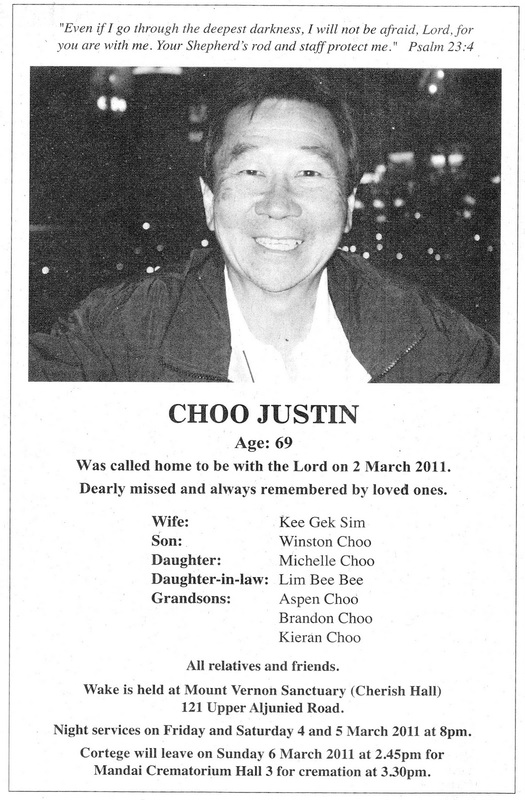 The passing of an old warrior,Justin Choo. Will always be remembered as a humorous crew who would speak mostly in his Peranakan Malay eg "sudah la", "bu*** la" , " hari hari mahu saja" " mari chakup cartoon la", etc. thats the problem with Cabin crew..once IFS almighty, now nothing at all. Worse still people speak bad of you even when u sudah mati! Bah Bah cremated this afternoon. RIP Bah. You have been a great guy, always cheerful and service minded.